Japanese is a hard language to learn, there is no denying that. But with the right learning resources, you'll be on your way to achieving your goals in no time! Kanji teacher has all the 2,136 jōyō kanjis and their readings, as well as the 8,000 most common Japanese words and how to pronounce them. Search from over 175,000 words and 58,000 example sentences. Features include handwriting recognition, text reader (deconstructs sentences into easy-to-understand segments), as well as the ability to create custom content. With an easy user-interface, this is a great study companion. • JLPT: Dedicated study lists for students taking the JLPT. 170.000 dictionary entries with readings and English meaning, and over 6.500 kanji characters with stroke order. Easy search, which also allows for search by romaji. The app allows for search by conjugated words. A Japanese dictionary made by experienced Japanese teachers. Helpful for beginners because you can switch between the masu form and the dictionary forms. Multiple ways of searching: You can search in Japanese (Romaji, Hiragana, Katakana, or Kanji), or meanings. Audio pronunciation: Every word is recorded by a native Japanese speaker. "A Japanese English dictionary which understands Japanese grammar so you don't have to." Based on the 220,000 word EDICT dictionary from Monash University. But it doesn't store all the alternatives, working them out on the fly. As a result, the whole app is quite small and requires no internet access. Allows you to search for words even if you only remember one or two of the kanji from the word. This can be done by putting "?" for the ones you don't know and the app will find all the possible words that match. Textfugu, an online Japanese textbook that is aimed at self-studiers. Learn Japanese Online With Misa! Misa is a Japanese teacher and has many great learning resources including fantastic youtube videos on topics ranging from basic grammar, hiragana/katana, to kanji, and common phrases. 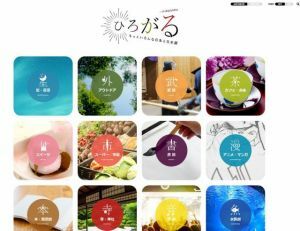 This is a site that lets you paste texts that you want to read, along with many interactive features, including the ability to add furigana to the text, and having every word clickable, so you can look up the words you are unfamiliar with. There is also the option of reading paragraphs from popular Japanese. This is a website for experiencing Japan and the Japanese language through your own interests. The website has much content, including videos and articles. There is a Japanese page and an English page. The English page has translations for the words and kanji. You also have the ability to add furigana to the text. Already spending a lot of time on social media? Why not use Instagram to help further your Japanese studies? This is a good way to integrate your Japanese learning into your daily life. Learn Japanese culture, words, and grammar through cute images of their mascot Kao-chan. Each post includes the kanji, furigana, and translation. You Know Japanese started as a simple Instagram account to collect and group all words from the Japanese language that came from English. This is a great learning resource for beginners, with daily kana posts! Each post includes the stroke order, direction, useful vocabulary, and cute pictures!